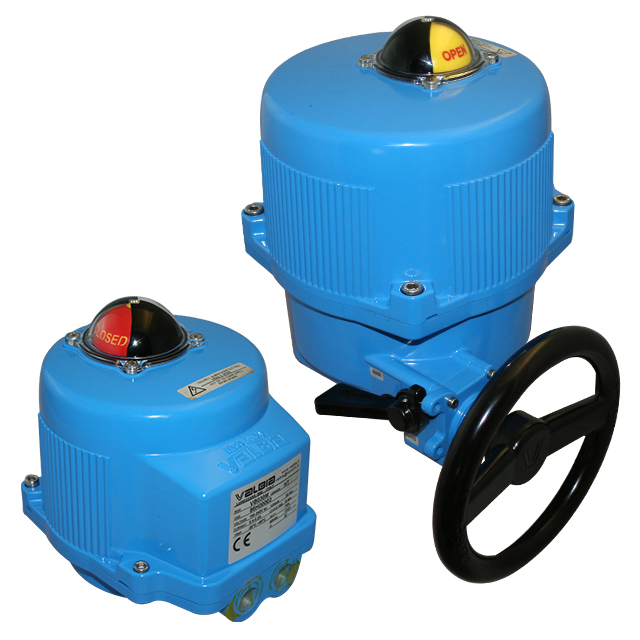 VALBIA are a globally recognised electric actuator manufacturer based in the EU. They entered the electronic actuator market with their range of plastic housed electrical actuators and followed up with the launch of their aluminium housed range. The range offers part-turn actuators up to 350Nm with on0off actuators, failsafe actuators, modulating actuators and failsafe modulating actuators. Valbia electric actuators are offered with two housing material options, giving either a plastic housed electric actuator, or an aluminium actuator. 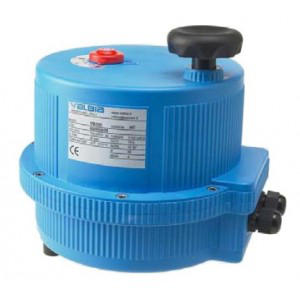 The Valbia failsafe electric actuator uses a factory fitted internal rechargeable battery back-up system to store energy which is used to drive the motor should external power fail. The modlating electric actuator from electric actuator manufacturer Valbia creates proportional control from an analogue input signal, typically either 4-20MA or 10VDC. 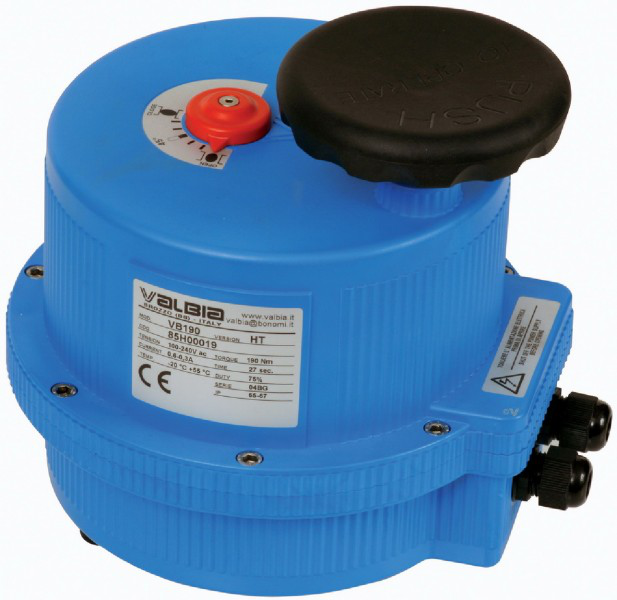 The Valbia actuator is recognisable by its light blue colour.